As the rain buckets down in the place I now call home on the the South East coast of Australia, the bouillon is simmering on the stove in preparation for a pot of Borsch and Django Reinhardt is keeping my energy up, I arrive at my first massive blogging challenge. How do I write up 2 weeks (broken up by a week in Hungary) of an amazing re-visit to Belgrade without it becoming a stodgy long diatribe? Do I break it up into categories thereby losing the daily flow? Do I write it week by week? – eeeeek! Well as they say, just start with the first word and the rest will come, so here goes……. My nice, calm and very expensive Alitalia flight from Rome arrived in Belgrade safe and sound. So it was back to the crazy drivers, but at least they usually stop at pedestrian crossings in Belgrade unlike Italy and Poland and many other places, but still best to double check. They all tend to drive flat out and slam on the brakes at the last minute. 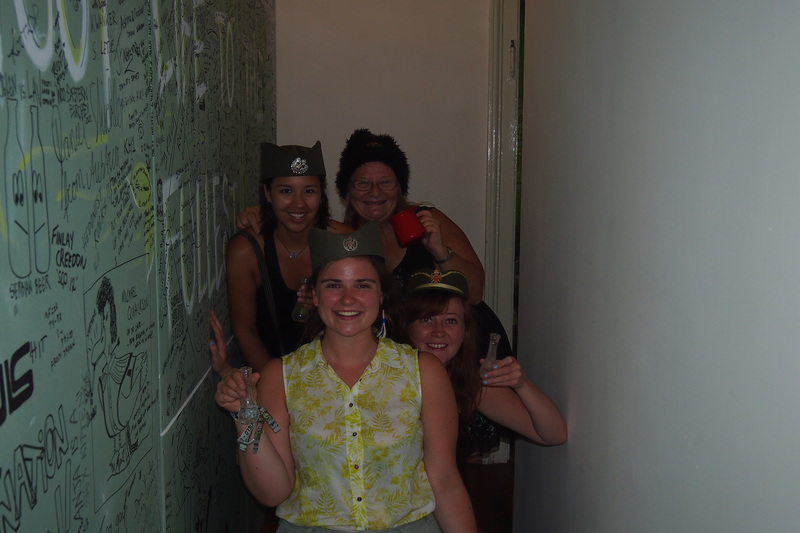 My welcome back from the staff at the Hedonist Hostel was a delight, hugs all round. It felt like a real homecoming, these guys start feeling like family very soon after you first get there, no wonder so many return. So, a big thank you to Marjan, Anja and Milica, there were others who totally made me feel welcome but unfortunately names escape me, after all I am running almost 2 years late with this blog. 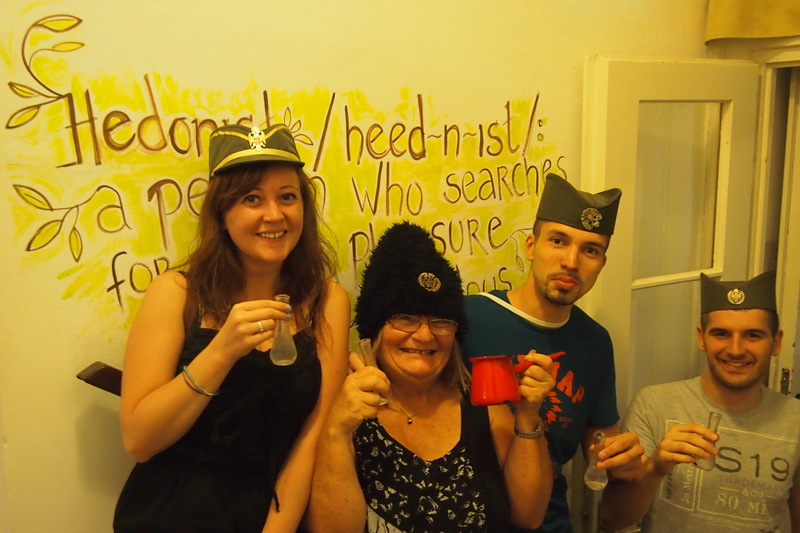 We tried to establish some Serbian wall leaning , oh well the hats look good. 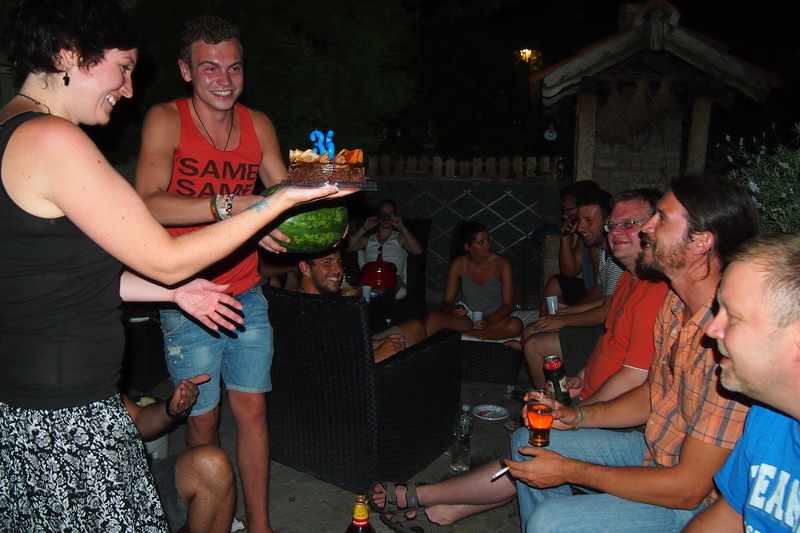 After my first visit in May 2013 the Hedonist, located at Simina 7, became the hostel that I judged all others by. They set the bar very high by knowing exactly how to make their guests feel at home and providing all the right information and entertainment. To think that I almost ignored this place when I was originally researching hostels in Belgrade, what a mistake that would have been. 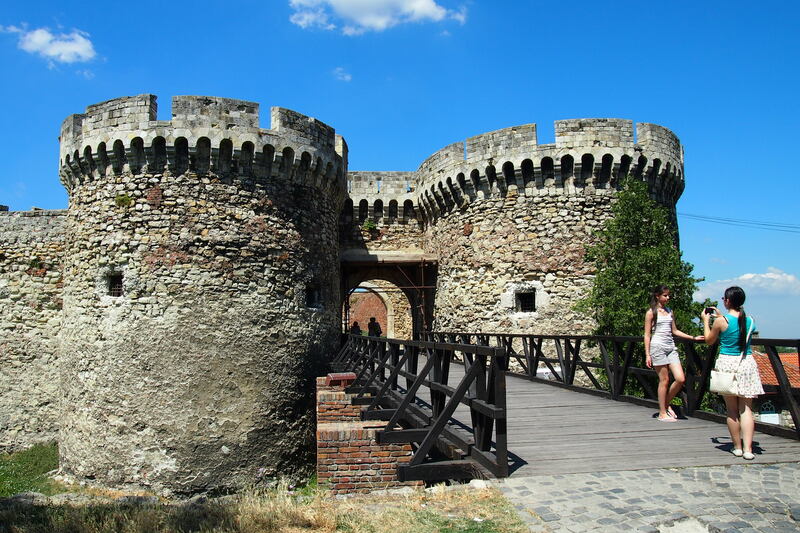 As I mentioned in two of my previous blogs; ‘Golden Oldie and First Born Take off to Serbia’ and ‘Golden Oldie Achieves a Dream – Bocelli in Tuscany’, the most important part of this world trip was about researching my parents’ early lives. As they spent most of their youth in Serbia it was logical for me to go back there again to continue the research and attempt to do some writing. This time there were heaps of Aussies and, of course, lots of other travellers at the hostel. The Exit Festival had just finished in Novi Sad so Belgrade was full of young tourists. (Exit is not my style of music but if you want to know what it’s all about, here is where you’ll find the line up for 2015 http://www.exitfest.org/en/lineup-2015). The hostel was bursting at the seams with fascinating travellers, just on my first night back I met one English lawyer, 2 Australian student lawyers, one Australian theatre nurse who had just spent 6 weeks volunteer nursing in Nepal, one Australian student engineer and a Dutch Scout leader, what a mix! 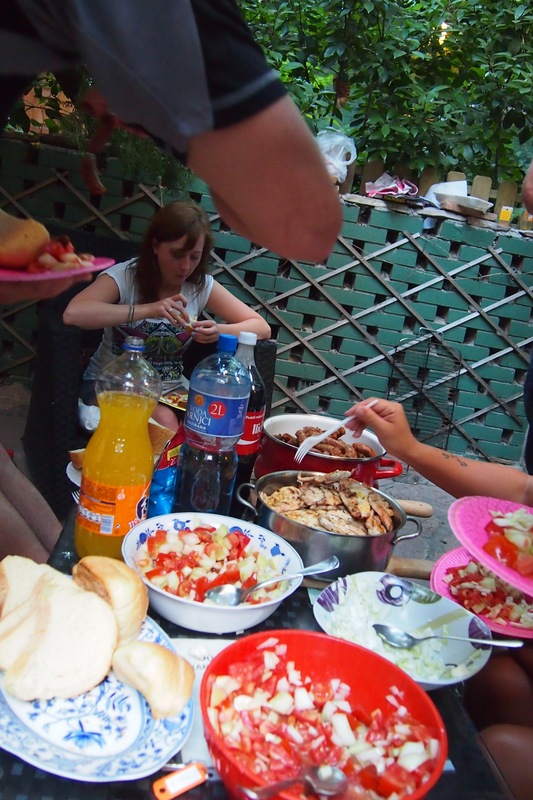 Belgrade, a super melting pot of people from all over the world. 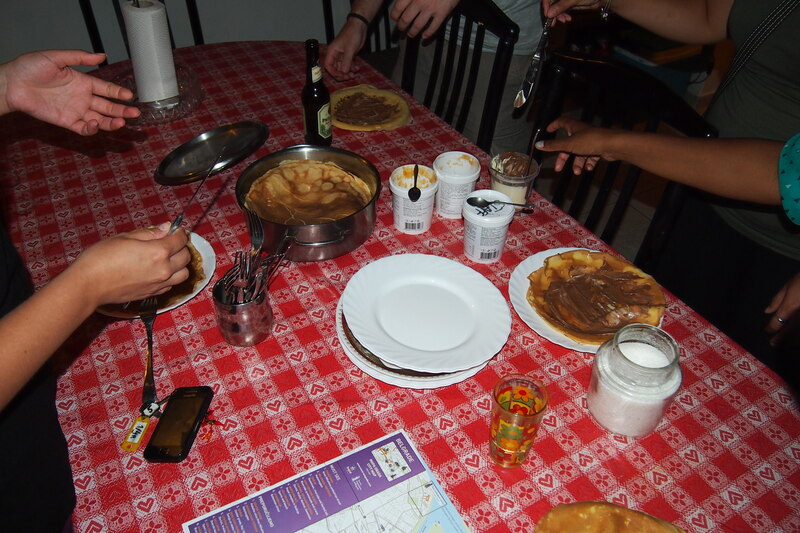 That was just one group which was gathered around the dining table scoffing the hot crepes (palacinke) that the staff provide regularly. Palacinke night is just wonderful at the Hedonist, hot crepes cooked right there in front of you, nutella, cream, Plazma biscuit crumbs etc and a whole lot of fun. 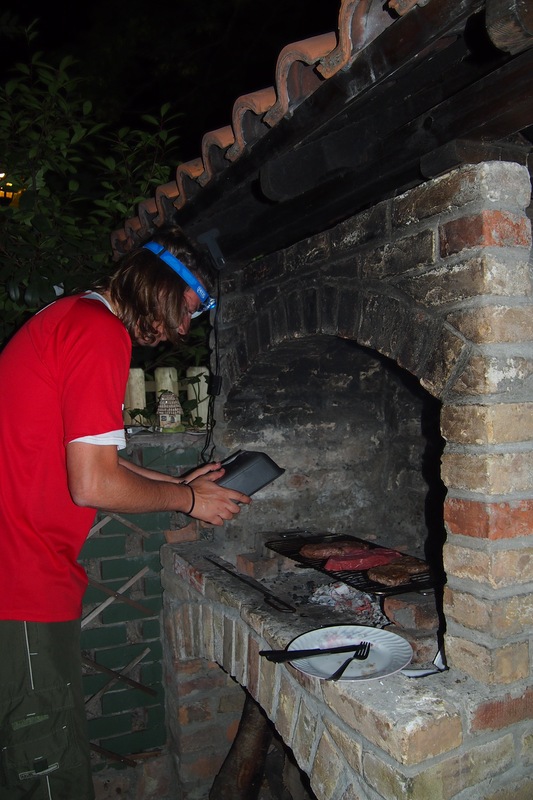 These guys also put on a regular barbecue (for a small fee) which is just fantastic, lots of salads lots of meat. Right there are 2 reasons I prefer to stay in hostels (the good hostels of course), the fascinating people you meet and the social events that the staff put on. In the great hostels they know exactly how to balance the in-house entertainment with peace and quiet and advice for out of house entertainment. Hotels tend to leave you to your own devices so I only stay in a hotel when I either need a break from socialising or there are no good cheap hostels to be found (and that is rare, hostels are everywhere). Unfortunately the mega hostels either try to force socialising on you or act like hotels and provide very little. The plan was to hop into bed, get some writing done for the blog and get a reasonable amount of sleep before heading off to the local market the next day. Well as Robbie Burns said ‘The best laid schemes o’ mice an’ men/Gang aft agley’ (translates to ‘often go awry’), no writing got done, my Norwegian room-mate started chatting and we sat up late into the night sharing travel stories, luckily we were the only two people in the dorm that night. As a result of the late night my day started later than I had planned so top gear was needed to achieve my goals which included finding the markets. 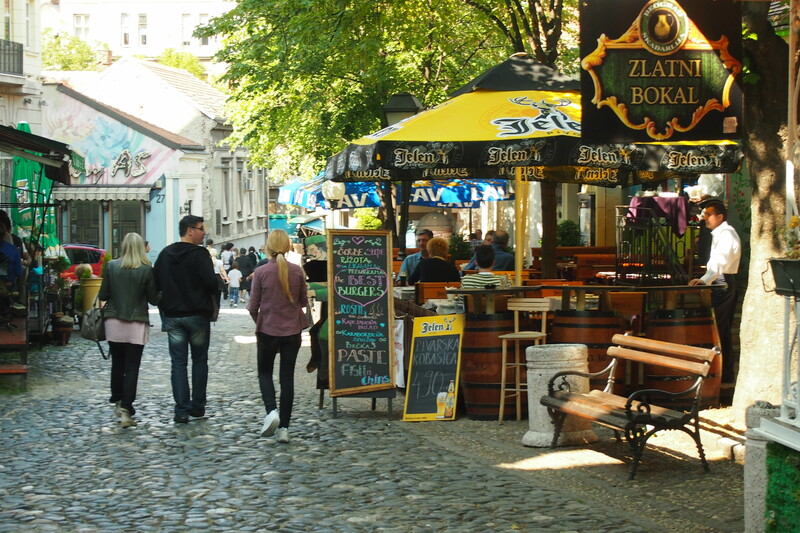 To get to the closest markets it is easiest to take a walk down the ‘old’ street Skadarlija, used to be known as the Monmartre of Serbia where the Bohemian life was led by poets, writers, singers and artists in the cafes and restaurants. Reading more on the area now as I am writing this I have discovered that amongst the singers performing there in the early 20th century was Olga Janceveckaya a Russian gypsy songstress who has always been one of my favourites. There were rumours that she was a spy (not sure for which side), true or not it all adds colour to this place. 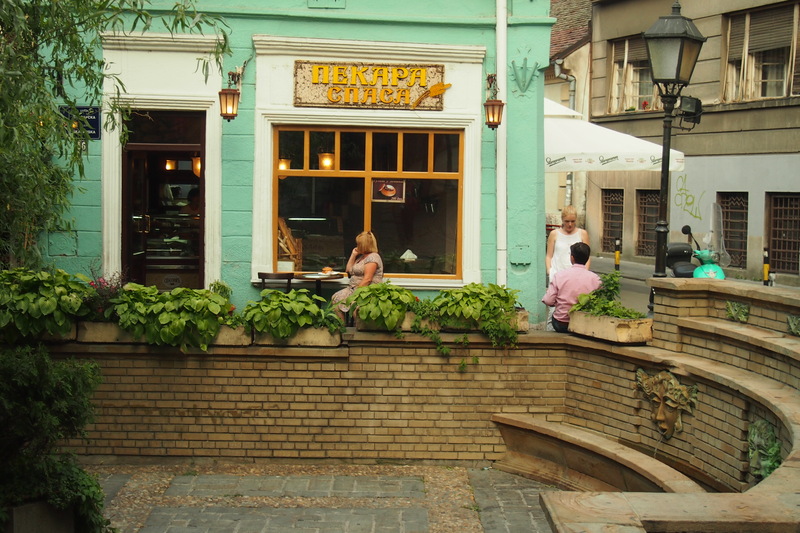 Skadarlija is very much a tourist area now but maintains it’s old world feel with restaurants serving up wonderful food at reasonable prices. There are, no doubt, other more ‘real’ local eateries but that was not my goal so I didn’t specifically go in search of any. I found it interesting how tenuous connections kept appearing as I continued to research my parents’ lives by living in their favourite city. It is quite possible that one or both of my parents frequented this street in their youth and now there I was walking along the same cobblestones. 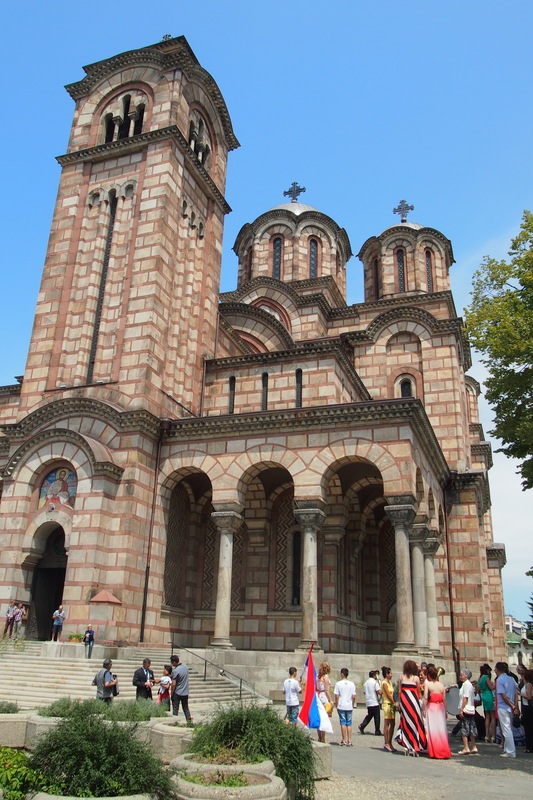 That thought just kept amazing me every time it struck me as I wandered Belgrade. First it was back to the bakery that Ginski and I discovered when we were there in May, for some local ‘street food’. Their specialty is goulash made mainly from offal meats served in a scooped out bread bun, love that stuff, it reminded me of Mum’s version, son wasn’t too keen though, he much preferred the Burek (another wonderful local specialty found throughout all the countries of the former Yugoslavia). 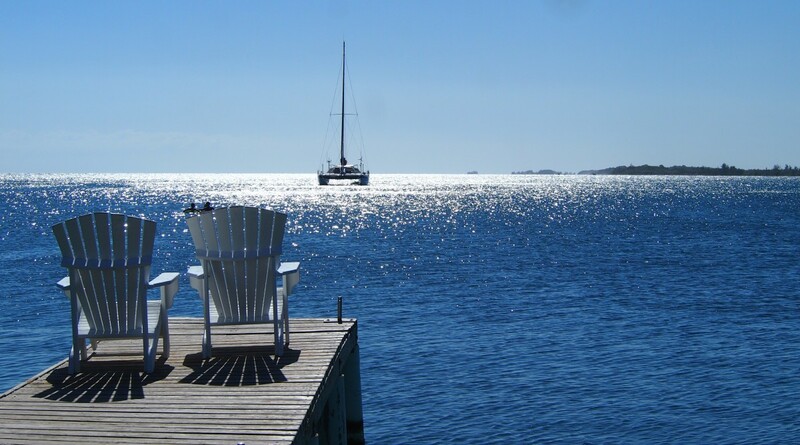 It was so nice to be back albeit on my own this time. I hadn’t realised how close the markets were to the Hedonist. 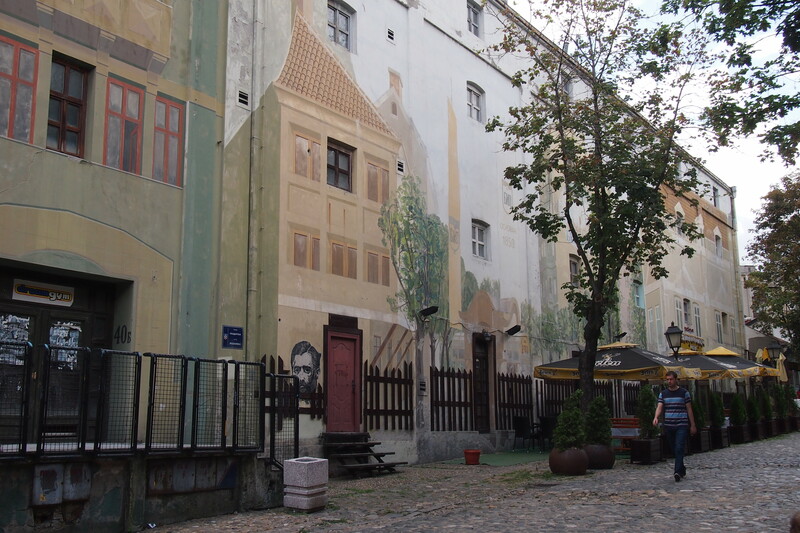 Down Simina, turn left on Skadarlija, through the Bohemian Quarter of cobblestones and charming restaurants, past the murals, across the major thoroughfare of Cara Dusan and there it was. Not immediately obvious but once I found the entrance I discovered how big it was, hidden behind the buildings which line the street. I loved the markets, cheap, colourful full of vibrancy and wonderful fresh produce. Being so close to the hostel cheap self-catering with awesome produce was going to be easy. I wondered if this was where Dad, as a young boy, worked? Wandering the Skadarlija cobblestones worked? On the way back to the Hedonist I dropped into Jevrem restaurant (at 36 Gospodar Jevremova ) for lunch. That was very enjoyable but seriously, 6 types of meat in the mixed grill!? Plus vegies? I’m a huge meat eater but there was no way I could get all of that into me! The Serbian (my parents called it Turkish) coffee was nice and it was lovely to know that someone still makes it in a restaurant in Belgrade having been told by several cafes and restaurants that nobody serves it any more, I think the more traditional places do actually still serve that wonderful coffee. I also discovered that on a Friday night they have a pianist playing at dinner time so, I booked myself in. 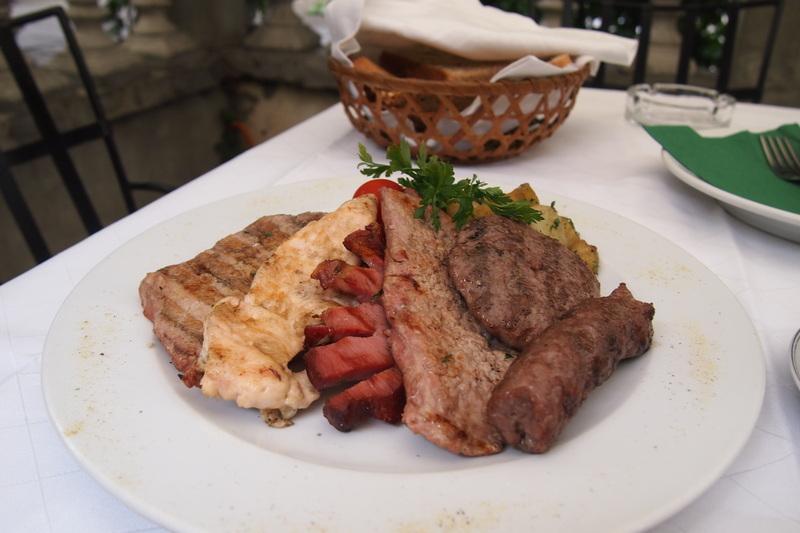 The massive meat lunch at Jevrem! Back at the Hedonist it was lovely catching up with people I’d met on my first visit and just happened to be there at the same time again, it seems to be a place to which people just keep coming back. So there were lots of chats with the two Russian girls (Eva and Julia) and we became friends and happily still communicate over social media and hopefully will meet up again somewhere, perhaps back in Belgrade or Russia or both. Now here’s another thing I love about hostel travelling, when you find a really good one which is set up perfectly for socialising, you end up sitting around chatting and meeting other travellers, you hear their stories, get invited to their countries, you learn more and sometimes make life long friends. That afternoon was one of those times and low and behold I struck up a friendship with Natalie an absolutely delightful and interesting young lady from Australia. We seemed to have a lot in common and she asked to borrow Mum’s book. We have also stayed in touch ever since with plans to meet up back in Oz at some stage. 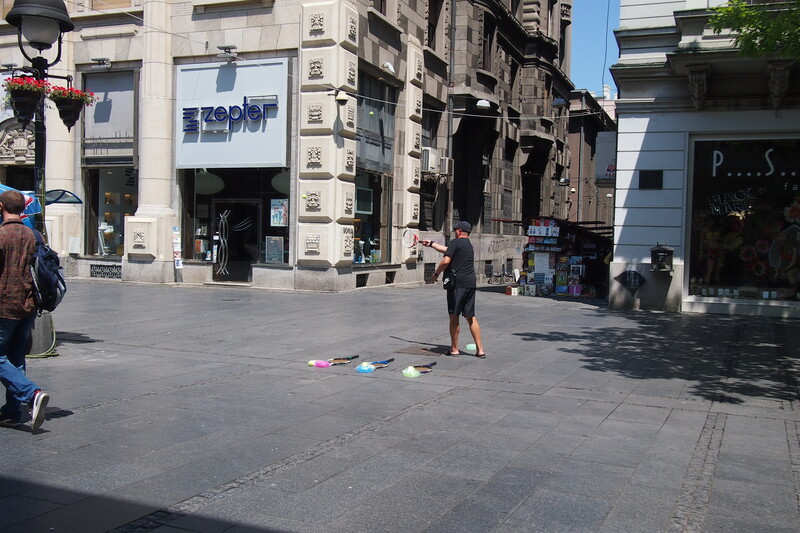 It was becoming obvious that my original reason for coming back to Belgrade (thinking I would find time and quiet space to start some serious writing) just wasn’t going to happen, although I did manage to at least write up each day’s events in between the fun. This visit was again about meeting new friends and researching. It seemed that word was spreading that I ‘write’ – not surprising I guess seeing as I was sitting at the computer a hell of a lot (attempting to write) and people kept asking me what I was doing so my research of parents’ lives and blog story was repeated many times. A young fellow came up that night and the first thing he said was ‘I’ve been told you write and I need to talk to someone who might understand’. So that took us into a lengthy conversation about muses, people thinking he’s crazy etc etc. All he really needed was confirmation that other people also have words forming themselves into creative expressions at weird times. Poor guy has obviously been put down by both family and friends when he has shared his thoughts. It was delightful to have a chat and support him in actually writing things down instead of just letting them get lost out of his head. I hope he felt better about his creativity and actually gets something on paper. Only in Belgrade! I went for an innocent walk, popped into an antique shop for a quick look and ended up joining the owner and a customer in rakija, white wine, cevapcici, loud music and dancing. I could not believe the other two when they both got on the furniture to dance! It was difficult extracting myself from the clutches of the antique store – which was taking on a surreal ‘The Lion, the Witch and the Wardrobe’ atmosphere and I thought that at any moment a piece of furniture would drag me into some parallel universe, so I finally made my excuses, left the other two to their dancing and continued exploring Knez Mihailova the longest pedestrian shopping street I’d come across. 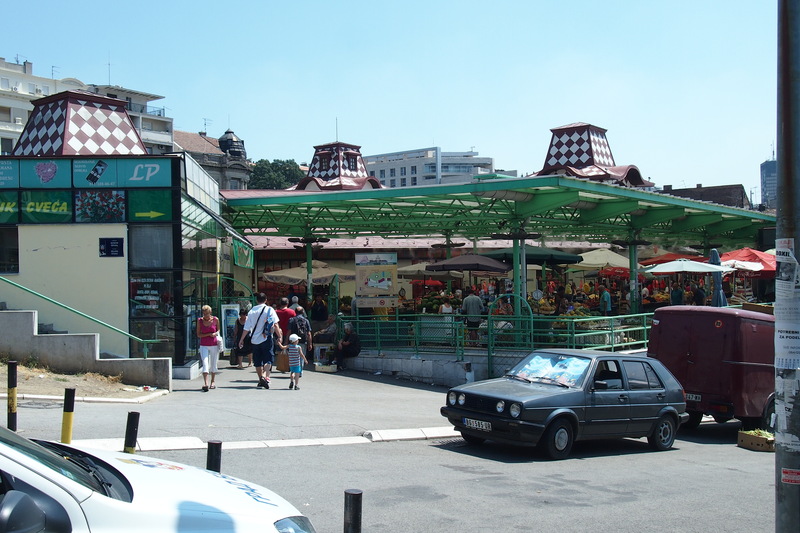 https://en.wikipedia.org/wiki/Knez_Mihailova_Street If I were to repeat all the information that you can find on these sites (and many others) the blog would go on forever. 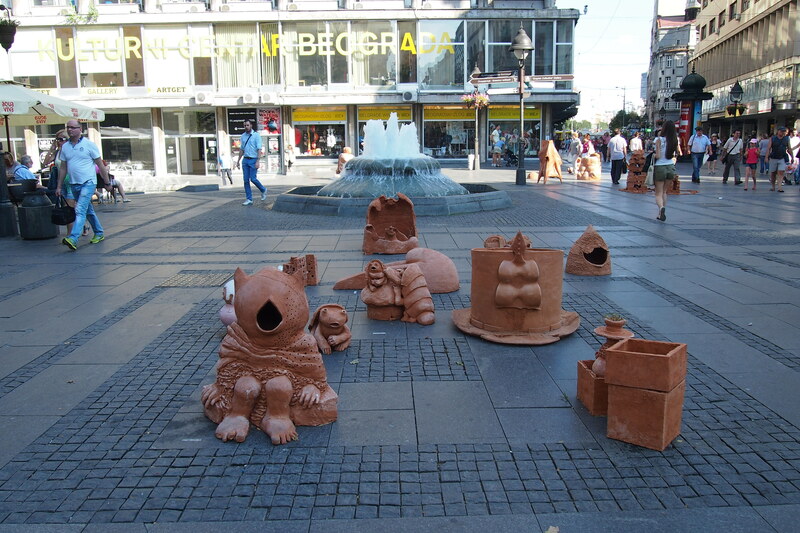 Suffice to say that Central Belgrade is a place to walk, there is so much to find, see and experience there. Tether tennis sales? On Knez Mihailova? Why not. 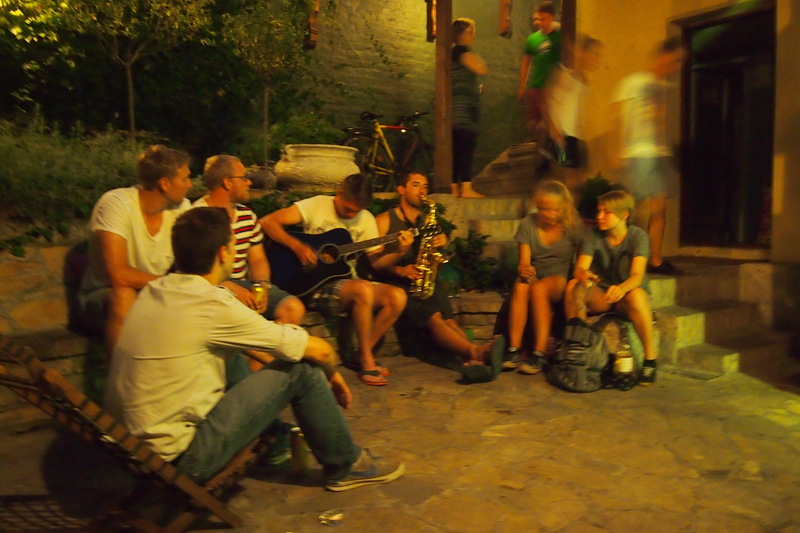 It was time to get organised and go to dinner and some live music at Jevrem . Some self imposed time out from re-reading Mum’s book and researching was called for. As if I hadn’t challenged myself enough, now it was dinner by myself in a slightly ‘up market’ restaurant – that was worth a pat on the back. 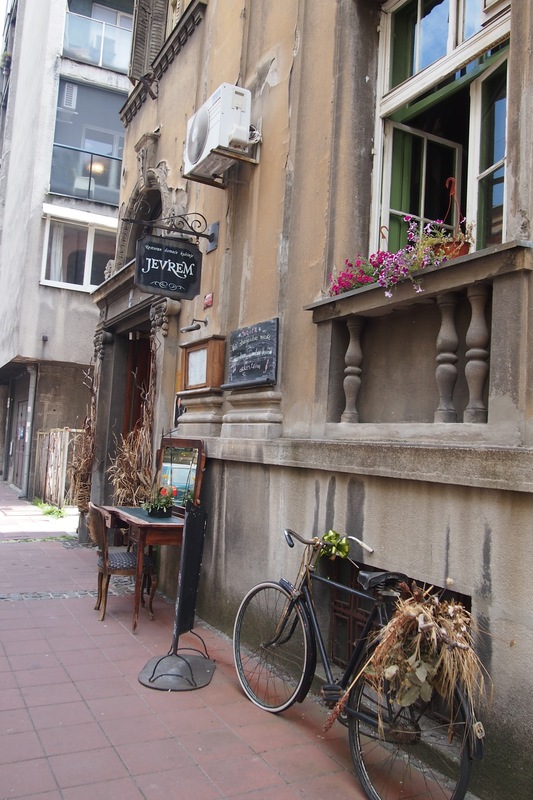 Jevrem has a wonderful atmosphere with both inside and outside eating areas. The night turned out to be rather interesting, once again only in Belgrade! I sat down at my table and while the waitress was chatting to me I noticed an elderly man and lady looking at me and smiling, I began to feel a little awkward. 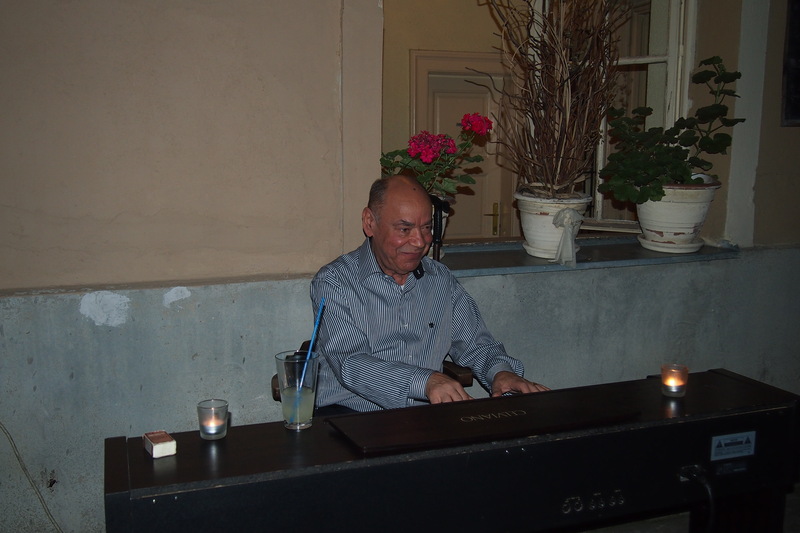 Then the sweet gentleman came over, he was the pianist and wanted to ask what sort of music I liked so he could play it for me, so nice, I must stand out like a sore thumb as a tourist. No sooner had he left to go to the piano an older lady came in (I figured out she was 75, although I swear she looked older) and decided to sit with me and proceeded to give me a Serbian history lesson in Serbian. Luckily I understand enough to have made some sense of a lot of it. The waitresses couldn’t stop apologising, but it was really sweet. Anyway, she stayed for a drink, decided their food was too expensive and left (after giving me several hundred years of history) perhaps she was hoping I’d buy her a meal but that thought didn’t strike me at the time. A lovely dinner, interesting talks, nice music and then back to the hostel. I walked into a party in the common room, the obligatory partaking of vodka before going clubbing. Soon they were all jolly enough and it was late enough for the young ones to go out and although I was invited to go along I had to say no , I’m still ‘old school’ going out at midnight just doesn’t fit into my reality. So there was quiet time for me, at least until everyone came back much worse for wear. Flash of inspiration the previous day, who would/should be able to point me in the right direction for information on the period when Mum and Dad were here? Maybe if there was a Russian church they might know. So a bit of research, yes there is a church in Belgrade (The Church of the Holy Trinity), within walking distance according to the map. So after a night of emotions, reading the saddest chapters of Mum’s book in order to get my questions organised (so glad the dorm mates were all out) I was off to church in the morning. A very long walk followed by 2 hours of standing and a long walk home took it’s toll, but I was glad I went, although as usual it caused more questions than answers. It turned out that on that day a Serbian priest was leading the service as the Russian priest, who could have possibly given me answers, was in Moscow and wouldn’t be back till 4 August. The church warden took my email address promising to pass it on to the priest upon his return, with my questions, needless to say that didn’t happen. The absence of the priest caused some re-organisation of my thinking, I wasn’t planning to stay that long, what to do? 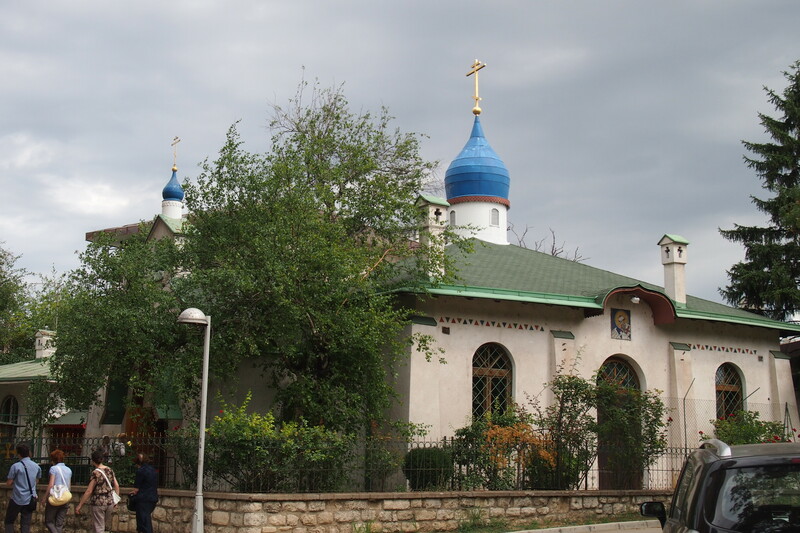 It seemed, though, that he may have been able to help me out, as this is the church where General Wrangel, leader of the white Russian Army is buried. I had heard many a story from Mum about the General and the evacuation of the army to the Yugoslavia, seeing as Mum’s uncle was in that army. That was a cool find. Although no research could be done, once the choir started singing I just had to stay on, a very small choir but what voices! 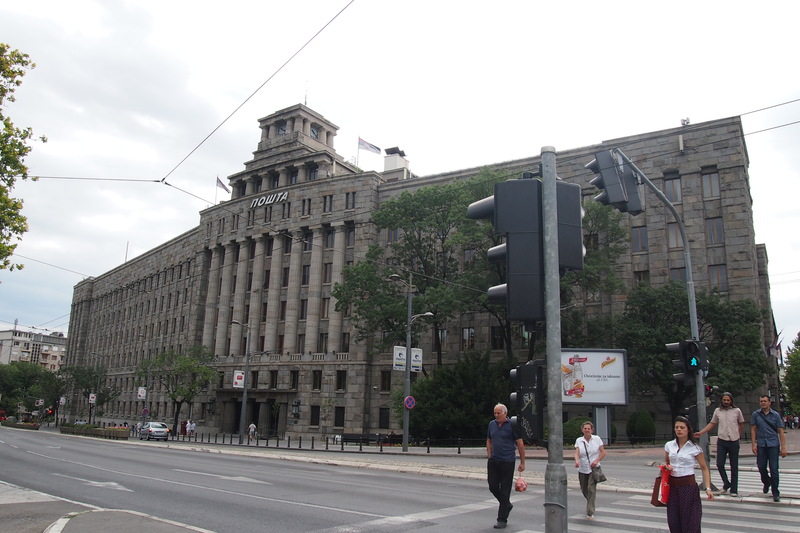 On the way home I came across the biggest post office building ever! 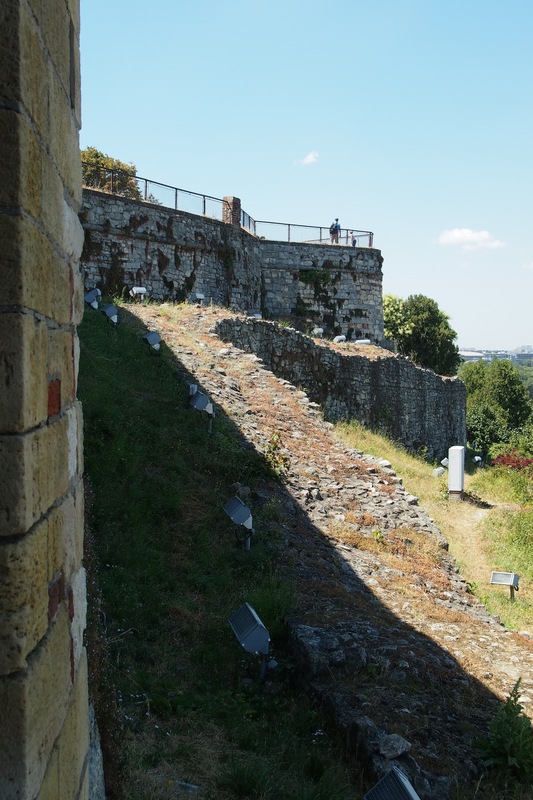 Tuesday was taken up with exploring the fortress, it is a fascinating rambling place built at the confluence of the Sava and Danube rivers. However, I have given a couple of sites above for you to explore so will refrain from any description here – except for a few photos. An interesting visit to the National Museum, located on the main city square called Trg Republike. A small museum but certainly some learnings for me, I hadn’t even thought about this area being part of the Roman Empire, but there it is, lots of relics and ruins. 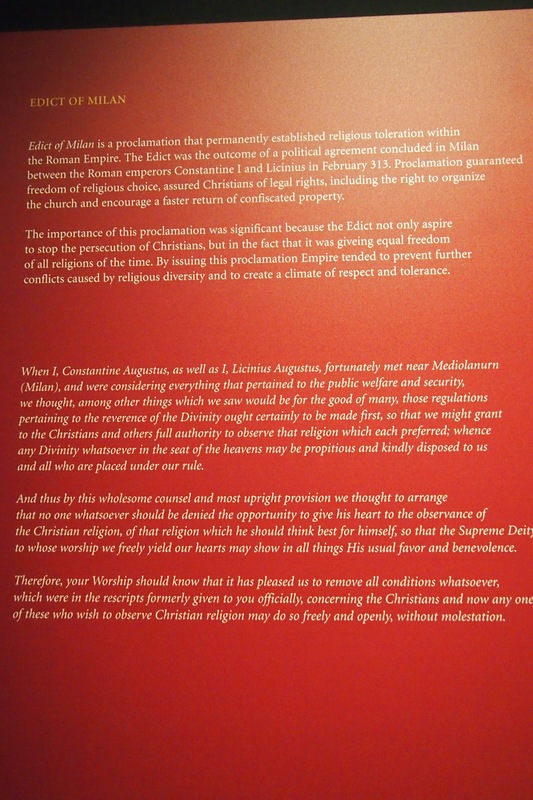 On top of that I hadn’t known about the Milan Edict either, hmmm perhaps in our current times we need to be more aware of what it says and perhaps expand it. 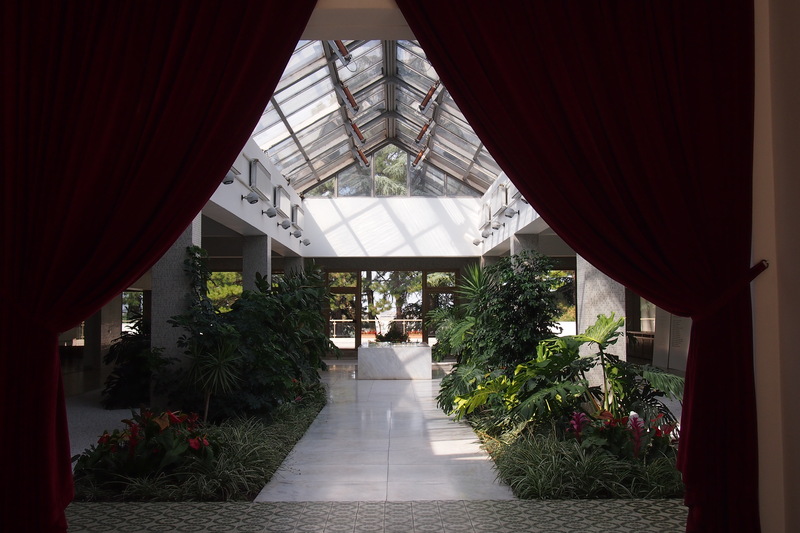 It was the day to visit Tito’s Mausaleum (also known as The House of Flowers) and the 2 museums next to it. So a lovely Finnish lady and I hopped on the tram. I found both the mausoleum and museums interesting but not spectacular, however these things must be seen if you are in the city and there is a lot to learn. 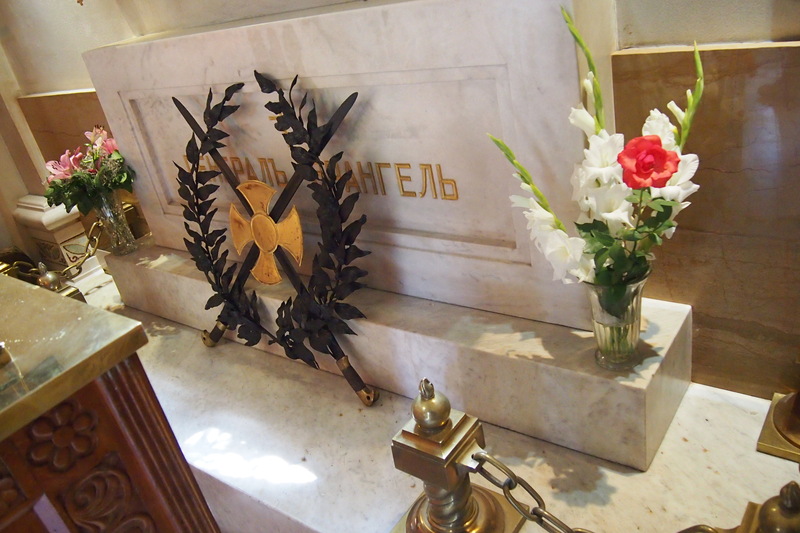 Not only is Tito’s white marble grave there (although supposedly he is actually buried outside amongst the flowers) but also displays of all the gifts he had received. One of the displays fascinated me in particular. 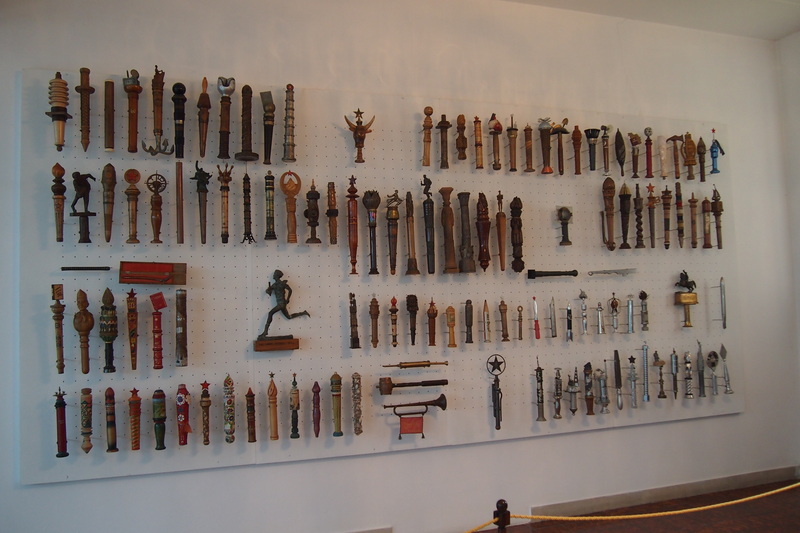 This was the display of the batons brought to him each birthday on 25th May. It all started in 1945 when the youth of the country organised mass baton relays throughout Yugoslavia. The batons conveyed birthday wishes for long life and good health to Tito. There are apparently 22,000 of them in the museum many very elaborately decorated. Eventually the 25th of May became known as Youth Day. The other sections of the museum had all manner of costumes and items from other countries on display. Sometimes hostel life can be awesome as it was that evening with crepe night, a birthday watermelon (spiked with vodka of course) for one of the girls and live entertainment by a bunch of Swedes and a saxophonist from somewhere else. and for some reason needed to have a conversation in the dorm (as if they hadn’t had enough time to talk to each other). The 31 degrees in Belgrade felt so much ‘hotter’ than 31 at home, maybe it’s the humidity, putting that together with a lack of sleep and it ended up that a walk to the post office, the gelato place and the supermarket (for watermelon, chicken and booze) was enough for one day! The afternoon was spent sitting around chatting to lovely Ursula (from Chile) about Mum’s book, my research and her amazing search for family while drinking local beer, now that’s the way to spend a hot languid afternoon on holidays. Yes there is an unwritten set of hostel manners that the decent travellers adhere to, others unfortunately think they are the only ones there. It was quiet until 5am (didn’t even realise a new dorm mate had come in) then, shattered silence! Alarm goes off, obviously the Turkish girl’s as she finally got up looking for the phone. Is it in the locker? No, maybe in the luggage? Yes! Alarm gets louder, Hmmm can’t see in the dark, light goes on, finally alarm goes off. She visits the bathroom, back in bed, silence again, till 5.45 when same person decides it’s time to get up, bed light goes on, lots of rustling, zippers opening, She leaves, light stays on – sometimes I love hostel life, other times I’m over it. On my way out to Zemun I had noticed a massive market with a very Ottoman looking roof so on the way back I hopped off the bus to take a look. 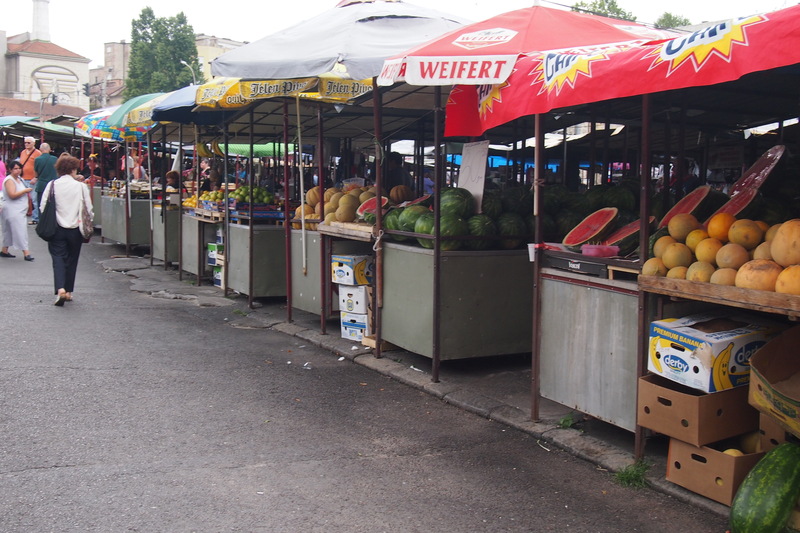 Located across the road from the central transportation hub Zeleni Venac is massive, it was a delight wandering up and down the rows, you can buy pretty much anything there not just food products. Once again the thought crossed my mind, was this where Dad, as a young boy, worked? ‘The town market became the base of his activities. He ran messages, doing any kind of work. He made himself indispensable at the market. He started to make some money but still slept under boxes at the market until a Serbian farmer offered him a job on his property. So Tony became a shepherd.’ Excerpt from my mother’s memoirs, Jermolajew, Tamara. It Can’t Be Forever. Gininderra Press, 2005. Sadly Mum is gone and I can’t ask those questions now. The 29th July arrived, my decision had been made to go to Hungary for a week before returning. A note about going to Budapest from Belgrade, it is much cheaper and more convenient to go by mini bus. The Hedonist books the bus for you, you leave at a civilised hour of the day, it is safe and the driver looks after the border crossing by collecting all the passports. The border guards have a good look at you before handing back your passport, however we didn’t have to get out of the bus so that was good. One thing, best not to have any alcohol or cigarettes (except enough for yourself for the trip) with you, the Hungarian border is pretty strict about that. The only thing about the mini bus (or at least the 2 drivers I had on 2 separate occasions) make sure you know exactly where you are going, if it is possible, because both times I was dropped at the wrong place which caused a little more than just annoyance. So it was a temporary farewell to Belgrade with great thanks to my newly found friends Eva, Julia, Natalie, Alex, Rachael and Ursula, and the rest of the guests and onward to Budapest.